I love gifting to everyone, and for some reason, guys are some of my favorites to gift to! A lot of the reason is because they usually don’t buy themselves a lot of things, or they just keep putting off buying something for themselves until a birthday or holiday rolls around. Works out for me! It makes it to easy to shop for them. This list of gifts for him was done in collaboration with a good friend of mine (who happens to be male). I figured it would be great to get some holiday gift ideas for the men on your list, from a man! *Some products on this list were sent to me. There are also affiliate links in the list, which means I may make a small amount if you purchase products through my links:) Thank you for your continued support. 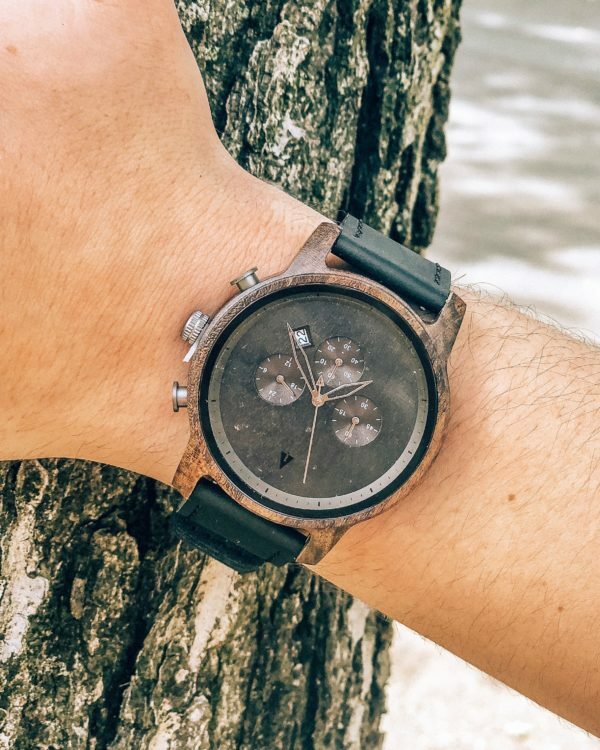 TreeHut: WE ARE GIVING AWAY ONE OF THESE IN OUR HOLIDAY GIVEAWAY! These are super unique and great watches. 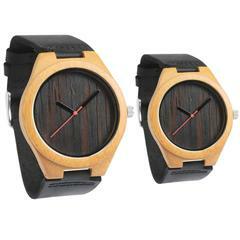 I love the wood-grain look of them, mixed with other materials and styles. Right now, they are having 30% off the entire site and they are having a big surprise for Black Friday! They offer his and hers styles as well, which is neat if you have a couple of siblings to gift for. You can also customize them with an engraving on the back, which makes it perfect for the holiday season as well. I love to personalize EVERYTHING! 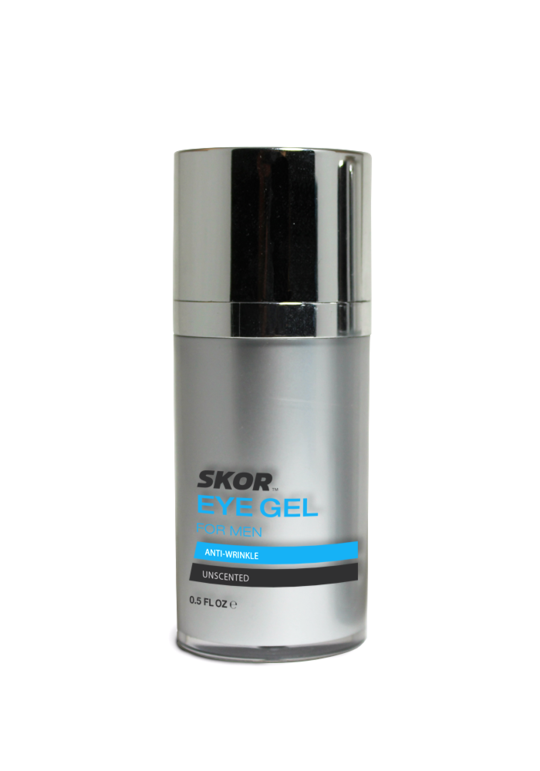 SKOR for men is a new product line to the market, and my hubs is a huge fan of their eye gel. It does exactly what it claims to do, has easy open and close packaging, and is super convenient and quick for guys who aren’t big into a full skincare routine. Its reasonably priced, and good for guys on the go, or men who need an add-on to their routines. Remember, women aren’t the only ones who should be taking care of their skin and appearance! Hi all! I’m Nate. With Thanksgiving and Black Friday approaching, it can only mean that Christmas is right around the corner! 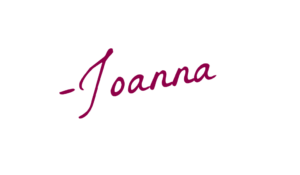 As you can tell, Joanna and her Motherhood and Merlot updates are filled with all of the great ideas to usher in this season. While most of you who frequent her site are looking for great ideas for the girl friends in your life, I’m here to give you ladies a couple of gift ideas that would be excellent for that special man of yours. I have a few ideas that will be great for him, which could also be great for you! So, what is a sous vide? 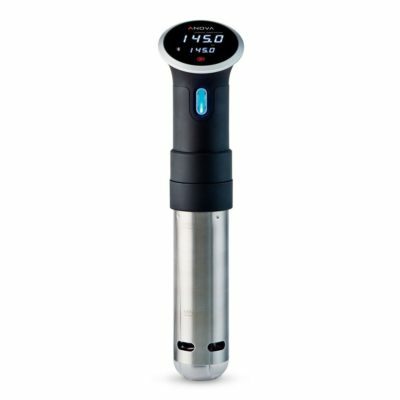 A sous vide is a submersible wand that warms water up to a precise temperature and maintains that temperature. Therefore, it will cook meat to that precise temperature without drying it out. I own 3, use them weekly, and, after trying my recipes, 4 brothers, my parents, and 3 friends have also purchased one of these. It’s a time saver, a life saver, and money saver. Make your own fancy restaurant steaks in your own kitchen with this device. Expect excellent deals this Black Friday on their website. This would have been great in the Kitchen Lovers Gift guide too! Same attributes as the moisturizer. I’ve noticed a thicker, softer beard and my face feels softer. You don’t have to have facial hair to use this product either. It’s great on the face either way. “Multi-benefit lotion instantly improves skin and softens beard. Applies easily over facial hair, from one-day stubble to a light beard to sooth the skin beneath. I picked up a pair of these earlier this year and they’re awesome for working out as well as day to day music use. 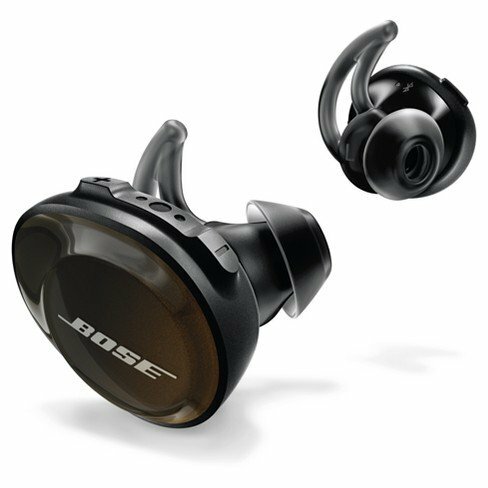 Bose takes pride in their sound quality and it shows with these. The right earbud has a built-in microphone so you can take phone calls also. They are not noise cancelling, but you really can’t hear ambient noise when your music is on. Walmart has a Black Friday week sale for $169 as opposed to MSRP of $249. So, I really hate it when my coffee gets cold and my cold water gets lukewarm. 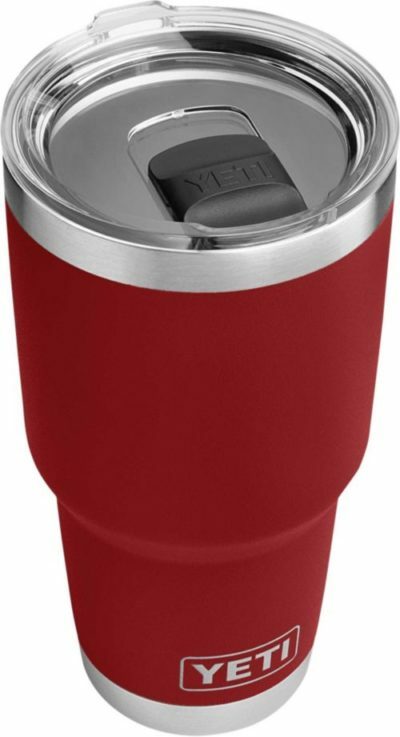 I have made the switch to Yeti because when I make a cup of coffee at 5 AM, it’s still hot by 9—if I haven’t finished it! Same holds true with ice water. If you buy him one, buy yourself one! They come in pink too! For more information on these products, check out these websites. Or, email me at [email protected]and I will provide you with as much information as possible from a first-hand user. I have the sous vide dialed in so I can answer whatever questions you may have about that life changing device. When I decided to write about some things for men, these three things were the top of the list, by far. For more gift ideas or if you want to ask questions tailored to your relationship, send me an email and I will do my best to assist! I know a quite a bit about kitchen items, sporting goods, technology, men’s health and beauty, wine and travel! I hope this has helped on your journey of finding what’s right for the special guy and I look forward to answering any questions you may have. From San Diego, I wish all of you a Happy Thanksgiving, the Merriest of Christmases and a prosperous, blessed New Years 2019. I love the headphones and personalized watch. My husband would love both of those! I love the tumbler and I know a lot of “hims” thatvwould live it too. Great gift ideas! My husband would like the ear buds! Great post! Love the ideas and of course will be forwarding this to MrsFrugalSamurai as a subtle hint, hint! haha thanks for sharing! Great Christmas gift ideas, Joanna! As a professional chef I personally would really like to use Anova Culinary Sous Vide. But I must say that “for utmost happiness” the set should come with a vacuum sealer for sous vide. I second the vacuum sealer! I started with ziplock bags. Do they work? Absolutely. However, when I received my sealer, it really changed the game. I also found that bags are a lot more flimsy when heated up in excess of 135. Vacuum sealer bags seem to be more robust.